I know how extraordinarily exciting it feels to be on the precipice of life-changing transformation. I also know how it feels to sit with struggle, grief and loss. Life presents many of us with opportunities to experience a wide range of emotions and situations. Some we desire to honor and celebrate, and some we desire to shift, or understand more deeply. If you are drawn to a session with me, the one you choose may depend upon where you are at this moment in your life, and whether you are coming once, or to explore a few ongoing sessions. We will begin with an intention via email or phone. We will clarify what you need, and begin to open our hearts to divine guidance and connection before you arrive. SHAMANIC JOURNEY - In this ancient process, we clarify your intent or discover what insight you would like to gain. We create a spiritual center, honoring the assistance of all that is divine, using whatever names are comfortable to you. It is my humble opinion that our guides, whether we think of them as power animals, ancient ones, guardians or angels are available to us every moment. All we need to do is simply place our attention on them. They dance in expectant anticipation, waiting for us to turn our attention toward them, waiting to assist us on our Earth walk. Then, following the sound of the sacred drum, either you or I, will journey to the Shamanic state of consciousness to ask your guides or allies to assist you. SOUL RETRIEVAL CEREMONY – A Soul Retrieval is an ancient process of reclaiming energy or vital essence, that is connected to an event or trauma that occurred in your life. The “dissociation” you may have experienced during the event is actually a healthy, self-preservation response, much like putting something on a shelf until you are ready or able to process it. What returns to you during the Soul Retrieval Ceremony is the gift or gifts that were lost as a result of the event. What may also come home is a power animal, or guide that is connected to your gift and who may become a very powerful companion for you in your life. CHAKRA CLEARING – This process is done using powerful sound healing and shamanic techniques that help you release thought forms or historical patterns that are held in your spiritual body, and which you feel no longer serve you. These thought forms, or patterns, could be in disharmony with your sacred spiritual path, and may result in feelings of dis-ease. What I offer is a spiritual process of chakra clearing that essentially involves the release of these thought processes or patterns into the consciousness of love. 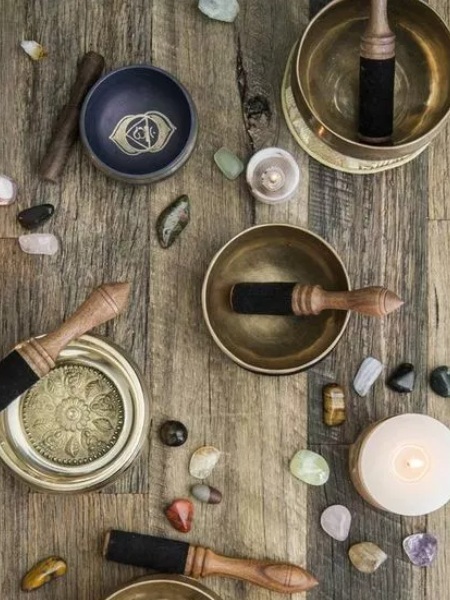 SOUND HEALING – A sound healing session provides a delicious time spent together where you lay or sit in a relaxed state, while listening to various instruments. While the sound is played, I hold a very strong intention for your well-being. Those who are familiar with Dr. Masaro Emoto’s groundbreaking work know that our bodies are composed of 70% water and we know that sound can impact the actual molecules of water in a very profound way, especially when a strong intention of love or healing is held while the sound is played or sung. 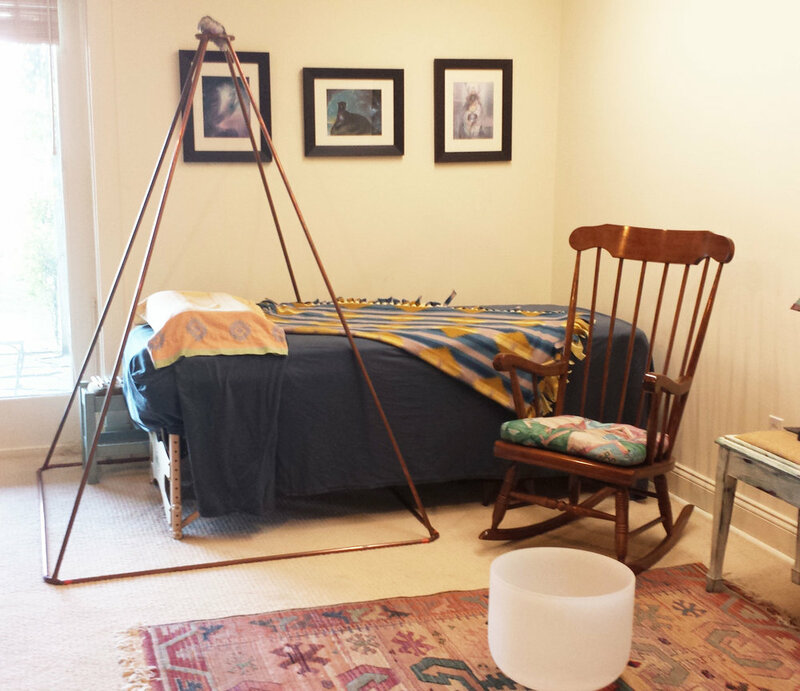 DRUM OR CHAKRA HEALING – A drum or chakra healing session can take many, many forms, but one example is that I drum your heartbeat while I hold the space of a “hollow bone” while asking Spirit to pour love and healing energy into each of your chakras or energy centers. There is some guided visualization involved in this type of healing. PAST LIFE REGRESSION – During this session, you will be regressed using hypnosis, to discover a past life that might shed some light on an illness, fear, or pattern that you carry this lifetime. Often, these patterns have no discernible connection to your life. But when seen or understood during a past life regression, spontaneous healing may occur. CEREMONY – Created especially for you to honor, celebrate or pray about a particular life event or situation. VISION QUEST – If you feel that you are at a crossroads in your life, or, if you have questions about the intention and purpose for your life, then you may benefit from a vision quest. The structure is fluid, but generally we will spend a few of hours together before you begin your vision quest. We will pray, do ceremony and share. Thereafter, I will take you to a place on the land where you will spend one or up to four days, alone. I will do a ceremony for you four times a day while you are out, and we will spend as much time as you need to process after you come in. Some folks spend the night in our home, before or after, depending on what type of schedule we create. Fasting is required, but drinking plenty of water is encouraged.